On the actor’s 79th birth anniversary (24 April), Mohan Makijany’s daughters speak about his long career and continuing his legacy under the company created by him. 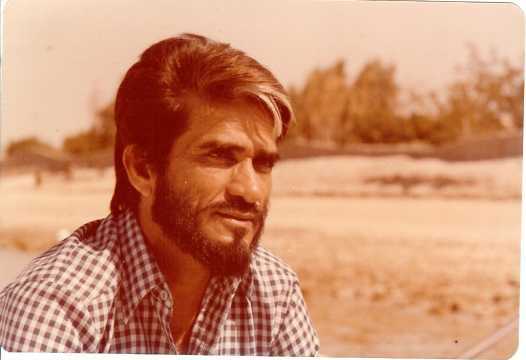 With nearly 200 films under his belt, actor Mac Mohan was a familiar face on the Hindi film screen for anyone who grew up watching movies during the 1970s and 1980s. Most film fans knew of him from his small role as Sambha in one of the greatest Hindi films of all time, Sholay (1975), but he was much more than the character roles he played on screen. 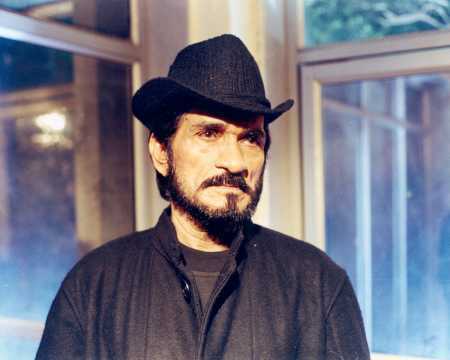 Mac Mohan was a keen cricket enthusiast, an actor with a background in theatre with his affiliation with the Indian People’s Theatre Association (IPTA), and one who researched and prepared for his roles before he stepped on the film set. Cinestaan.com spoke to his talented daughters, Manjari Makijany and Vinati Makijany, who shared wonderful memories of their father from their childhood and his film career. Manjari, who is an acclaimed filmmaker, and Vinati, who is an actress, have also carried on their father’s ambition by producing films under the banner created by him, Mac Productions. 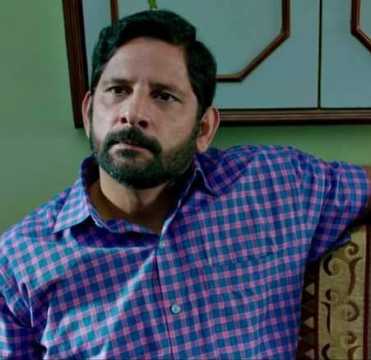 How did your father, Mac Mohan, turn from cricket to acting? How did he get interested in films? He was an ace cricketer and captain of his junior or senior cricket teams. He came to Mumbai when my grandfather [who worked in the British Indian army] was transferred there post his retirement. Even in Mumbai he was very passionate about cricket. It was during his time at Jai Hind College that he started doing theatre alongside cricket. He was performing in a play with Shaukat Kaifi [wife of the poet Kaifi Azmi and mother of actress Shabana Azmi] when she encouraged him to continue theatre and become part of the Indian People’s Theatre Association (IPTA). He was known for his unique style and physique from his college days. It was during his training at the Filmalaya acting school that he got noticed. He was picked to do a cameo in Aao Pyar Karen (1964) and you can see him without his beard, dancing in the song ‘Jhuki Jhuki Nigahen’. It is one of the few films in which you will see him without a beard. He officially started his film career by assisting Chetan Anand on the film Haqeeqat (1964) [which became] his film debut. He continued to be an active part of the theatre industry, but the 1970s marked his peak, where he was part of almost every Hindi blockbuster. 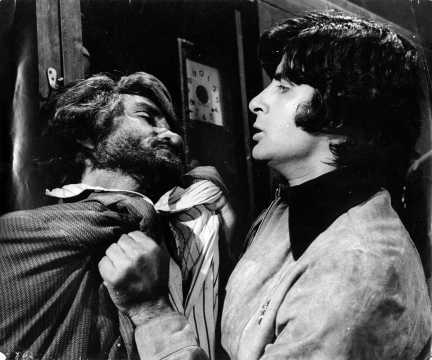 Sholay (1975) made him synonymous with the character Sambha and after that there was no looking back. His look and personality became one of a kind and he is fondly remembered to this day for that iconic role. Do you think he had any regrets about leaving sports for acting? He used to still play cricket for the industry cricket matches and our families used to get together and play. When we were little, we had these cricket matches. I [Vinati] vividly remember the Kapoor family being there, Daboo uncle [Randhir Kapoor] and all, they used to be there in their white outfits playing matches. In fact, he was very close to the cricket coach of the Indian team back then, Anshuman Gaekwad. He would go and watch the cricket matches at Wankhede Stadium. And more than us meeting the Bollywood celebrities, he was more than happy meeting the Indian cricket team. I remember briefly meeting Anil Kumble [when I was very little], I think we met Sachin Tendulkar. We [also] met Sunil Gavaskar, he was very fond of Dad. He had a ball and cricket bat signed by him. He was very encouraging of the younger kids in our family taking up cricket. He actually taught a lot of our cousins the sport — they didn’t actually join the cricket team but they were very good at the sport. One of my cousins in Dubai has the cricket bat which is signed. The other brother has the ball. Cricket was very much part of [Mac Mohan's] life, he actively followed the World Cup. He was fond of explaining the game to us. Once you take up films, there isn’t as much time. But there weren’t any regrets. How did his screen name come about? At first, he was credited as Brij Mohan in his early films. His name is Mohan Makijany, but his style statement was so prominent that people would fondly call him Macky, Makino, etc. The name Mac really comes from the last name Makijany and somehow that name just stuck. I’ve read that he chose his own costumes for his films. How did this practice begin? He was particular about his clothes before getting into the industry. People would often call him ‘Kadak Ram’ because his clothes were always on point, well ironed and fitting perfectly. His sense of style was reflected on screen and he had a big contribution to his looks in his films. Producers would make a joke about hiring him because they would say: ‘Let alone your fee, your wardrobe budget is huge!’ A lot of times, if the producer’s budgets didn’t allow for the kind of clothes he had to wear, he would open up his wardrobe to get the look right. He even worked free on some films and got his own costumes stitched! 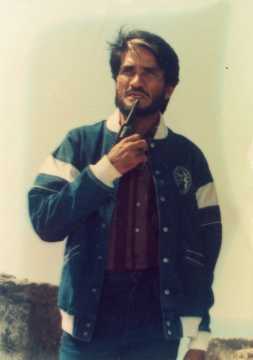 After the success of Sholay (1975), he was primarily known as Sambha. But which roles do you think he was most proud of? It was phenomenal to see the dedication he had for all his films, whether it was Sholay (1975), Don (1978), Kaala Patthar (1979), Shaan (1980) or television, documentaries, shorts, or the international and regional films he worked in. He approached all his work with the same amount of dedication and freshness. We were born in the late 1980s, so a huge chunk of his work was before we were born, but we saw him do so much work, all in the same capacity. His words still stay with us when he said, 'No matter how many lines you have, make the most of the presence you have on screen.' And he would take his work very seriously. It is for this reason that it was hard to miss him, no matter how many seconds he was on screen for. 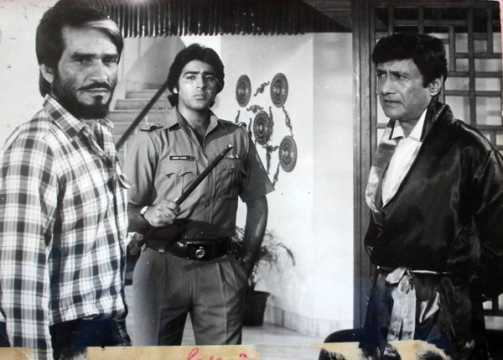 He put in a lot of effort for films like Majboor (1974) where he stayed at a mental asylum to get into the skin of the character, and when he was on set finally to give that shot, the entire crew applauded his take. He was an extremely emotional person, so I believe [certain] roles allowed him to tap into that [and] were gratifying for him as an actor. He has played many parts — from the hero’s friend to the comedian to the villain. Which films are most memorable for you and your family? We vividly remember crying as kids when we saw him get beaten up! We would watch something on television and run to him in the other room and say we hate to see him get bashed up and he would laugh and say it’s all play-acting. Our personal favourite is Kaala Patthar (1979). What advice did your father give you when you were embarking on your filmmaking careers? Manjari: We started our artistic journey early on. Vinati wanted to pursue acting since she was very little and I would like to get behind the scenes and dissect every character move, story points, and overall structure. We used to discuss film structure a lot after coming back from the theatres. On several drives, we would have discussions where I would talk to him about how the scene would have worked out better had it been shot in a particular way or the actors had had different dialogues. I remember my father telling me, 'You have the qualities of a director.' At the time I had no idea what a director does. And the whole family always knew Vinati was a good artiste. After her debut on stage, he came backstage and told her, 'Well done. You’re a good artiste.' That was it. I believe he wanted us to discover our own method and style. While he never gave us any advice, he was very encouraging of our career choices. He paid equal importance to education as he majored in psychology and economics. I graduated in mass media with a major in advertising while Vinati is a biotechnology graduate. While he was quick to [get angry], he was equally quick to ask for an apology. He used to say ‘thank you’ and ‘sorry’ are two words you should never hesitate to use. So no matter how angry he was, if someone said sorry, he would totally chill out and forgive them. It was like magic! He was very encouraging across all aspects, from laughing at the silly jokes we would crack to believing in us to make a difference in the world. The best advice he gave us was that: ‘Whatever you chose you are going to be good at it.' We believed it without a doubt and it was engraved in our subconscious — to give everything our best shot. This also has its downside, though. I remember we registered for a skating competition at school once (and we had never worn skates before). We did it anyway and came last, but he said we were bold to participate and not everyone had the courage to do that. This made us fearless and we dived headlong when we decided we wanted to pursue our careers in films and art. We started working at the same theatre group where he started off while we were still in school and started backstage and learned the craft hands on. After college, I started assisting on feature films [like Wake Up Sid (2009) and 7 Khoon Maaf (2011)] and Vinati continued with theatre and recently founded The Mak Stage Company named after our dad. What were his ambitions and dreams with the film production company he initially set up? Can you tell us a bit about the company? 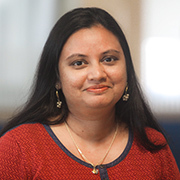 Manjari: Our work is greatly influenced by his work ethic and his personal style. He treated his co-workers, staff and crew with a lot of care and respect and we carry on that same value system in Mac Productions. While we work professionally with Indian and international crews, there is a touch of his ‘gharwala love’ on our sets. He started the company in 2007 to produce TV shows and films. The company didn’t take off until after his demise in 2010. In 2011, we produced award-winning short films and did campaigns for Unilever and other brands. Our films have travelled to more than 40 international film festivals and won awards in USA, Australia and Europe. There is also an LA [Los Angeles] division of Mac Productions now! We did I SEE YOU, a short film that I just wrote and directed and my husband, Emmanuel Pappas, produced under the banner. 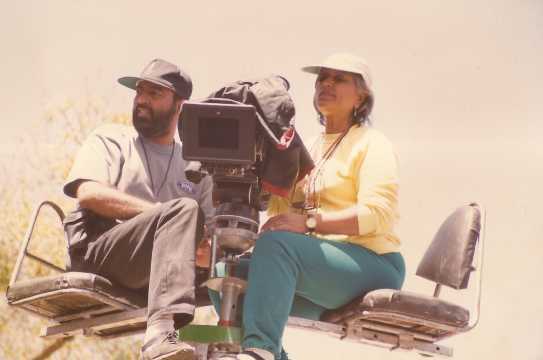 It was for the prestigious American Film Institute’s Directing Workshop for Women where they select eight working directors every year and I am the second Indian woman [Arun Vir was the first] to go through that programme since its inception in 1974. The film just had its industry release on 18 April at the Director’s Guild of America.